The art of Beanile <www.beanile.com> makes impression similar to music performances of Baroque and early classic era. In contrast to sharp lines of modern style in visual arts and music Beanile with its variety of scrolls nourishes our deep aesthetic need for harmony and symmetry. Its playful dialogue between hard shining glass beads and soft sophisticated melody of knotted thread is open to endless play of color, just like music, where melody, harmony, rhythm and timbre form blissfully infinite space for fantasy and endless variety of compositions. 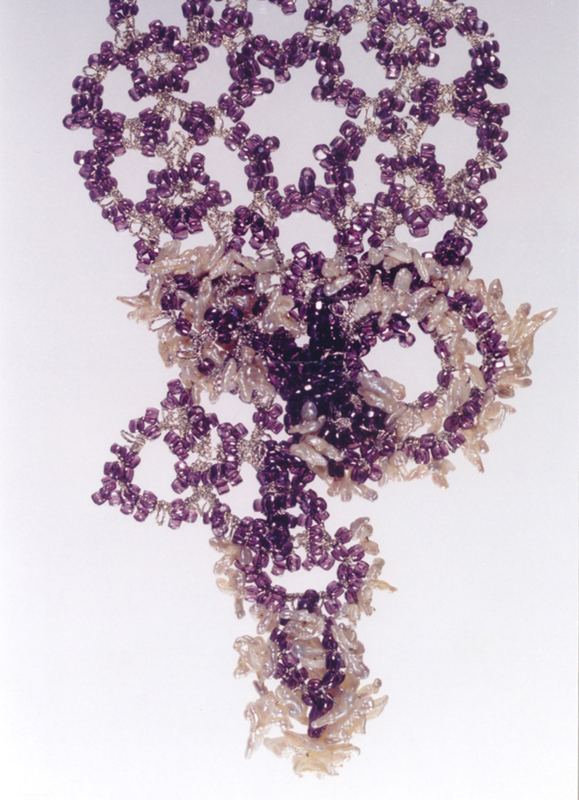 To continue in musical terms, Beanile has symphonic richness of orchestral groups: rock-hard beads are as distinct as brass instruments, knotted thread is soft and enhancing as strings.